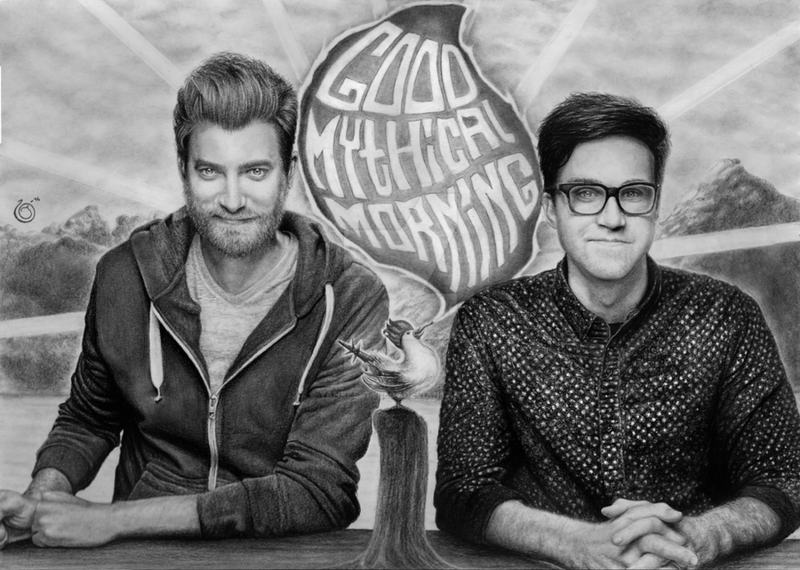 And this time it's of Rhett and Link, which are two of my favorite Youtubers and I watch their show "Good Mythical Morning" everyday. They are just soooo funny! I'm In Awe. You are amazing at what you do and I hope you keep doing this. I watched you, and I will always love your art! Thank you so so much for your comment! WHAT!? HOW!?! This is AMAZING. I'M NOT KIDDING!! This is freaking incredible! I think it's my most favorite out of everything I've seen on the site so far! Amazing job!! WOW!! Mind if I share this on Pinterest? I'll give you all credit and link you. 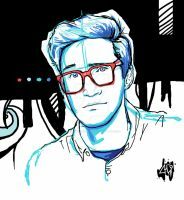 I share the drawing on my Rhett and Link Pinterest board. You can pin it if you want to. No problem! I'll share it on Pinterest now! Have a incredible day! Love the detail you put in to the shirt, that takes some effort and patience Over all awesome job! This is a yes yes! Very nicely done! It looks so realistic and they look recognizable (which is quite hard to pull off, in my opinion) I love it ! wowwwwwwwwwwwwww this is soooooooooooooooo goood! Have you sent it to theeeeeem?? Yes, they even shared my drawing and my youtube video on their facebook-page when they received it. Wow, this is excellently done! well, mind blown. great work!!! That looks just like them! You should send this to them! I'm sure they would be blown away! Thank you! I did send it to them and they shared it on their facebook-page when they received it.